Do you know what chimney sweeps and wildlife removal have in common? I hope you have taken a chance to make sure that your home is fully animal proofed, Denver and everywhere else is about to get a change of seasons. I say this because the breeding season for most of the common nuisance wildlife that come into contact with humans is coming to a start. If there is a way into your home, it is likely that they will find this entrance and get in to start nesting and getting ready for their babies to come. Your chimney is an exact replica of a hollowed out tree in the eyes of a mother looking for a safe place to nest and raise their young. When you have a raccoon, squirrel or even birds nesting in your chimney they bring with them all sorts of nesting materials into your chimney which can create great fire hazards in your home. This nesting material can build up over time, we have even seen up to 6 feet of impacted nesting materials that has been added to year after year and which even had previous years unhatched eggs as well as carcasses of other animals that got trapped in there over time. As much as you may not think that a chimney sweep would be vital to the prevention of wildlife in your home, think again. Getting and keeping your Denver chimney sweep cleaning done regularly will help you to ensure that a chimney cap with animal proofing is in place on your home and helping to prevent animal entry, which in turn will keep your chimney safe from uncontrolled fires. Have a Certified Chimney Professional come to your home for chimney sweep cleaning! Just as in I always recommend for wildlife removal to hire a professional, you must, must, must hire a Certified Chimney Professional to help you with your chimney sweep. This is the only way to know that your chimney is fully safe and up to code. Call Titan Animal Solutions at (770) 728-3974 for your wildlife control needs in the Atlanta and surrounding local cites. Hearing the noise of animals in your home can be a little alarming. Smelling the odor of a dead animal in your home can be quite an experience, one that most don’t want to re-live. Getting help to get the animals out of your home is sometimes a hard place to start. 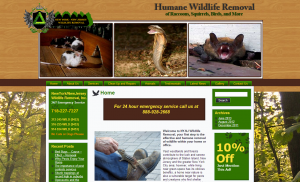 There are many different companies that offer animal removal services. Is the company that you are contacting insured? How long has the company that you are dealing with been in business? Does the company that you are dealing with help to repair entry points the animals have made? Do they sanitize and clean up once the animals have been relocated? Titan Animal Solutions, (770) 728-3974, is an insured business, they have been in the wildlife control business for years. Their mission statement is, “Titan Animal Solutions is a full service animal removal and home services company that does just that. We are your local wildlife biologists who understand the problems you are faced with and we are proud to provide real solutions to those problems”. Titan Animal Solutions will help you to repair any of the entry points that the animals have created in your home as well as getting the area cleaned up from any feces and urine that may have collected in the area. The area will also be sanitized to ensure that any illness or diseases that the animals may have been carrying will cleaned from your home. Call Titan (770) 728-3974, for help with any of your wildlife and animal removal needs. Do you need help with bat removal in Covington? Do you know what to do when you have a bat in your home? There has been a notable increase in the number of reported incidents of people finding bats in their homes. This can become quite dangerous to the residents in the home as bat bites can often times go unnoticed. This happens in sleeping adults and young children, where they may be bitten and since the bat teeth are so small the marks are sometimes overlooked. When you notice that there is a bat in your home the best thing to do is to call for professional help. Tri-State Wildlife Management, (859) 635-0037, is one of the leaders in bat removal in Covington. Call Tri-State Wildlife Management (859) 635-0037 for help. There is more than one reason that bats in your home are a dangerous thing. First is the rise in the findings of rabies in bats. 5-10% of the bats that are found and tested in Kentucky have been found to be positive of rabies. Another reason that bats can be dangerous is the fact that they can pass histoplasmosis through their feces (guano) and urine. Getting bats removed from your home should not end until the area the bats have been staying in has been cleaned and sanitized. When working in wildlife control Covington, one thing to remember is that bats can actually be helpful to humans in the area. Bats eat mosquitoes and other small flying insects. Keeping the number s of bat colonies up is more beneficial to humans and the eco-system. The key thing is to ensure that your home is secure and there are no entries that they can get into. Getting a company that is trained and experienced in wildlife control and bat removal will help to ensure that any of these entry points are found and sealed. Getting the bats out and getting the area cleaned and sanitized is the only way to guarantee that there is no spread of disease or illness from the bats having been in your home. 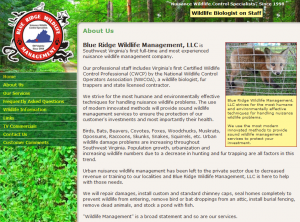 Call Tri-State Wildlife Management, (859) 635-0037, for help from Certified Bat Standard Compliant technicians. If you are in need of wildlife control Portland, contact CCP Wildlife Control LLC at (503) 201-2432 for help with your removal and repair needs. If you have found that you have animals in your home or on your property and that you are in need of wildlife control Portland the best people to contact are the staff at CCP Wildlife Control, they were founded by Clifford Foster who has over 30 years of experience in wildlife control Portland and personally oversees and handles each of the wildlife calls that their company go out on to completion to ensure that his clients are getting the best possible service at their home. From one of their customers, “I could not have been more pleased with the quality service provide by CCP Wildlife Control. Clifford was very professional and clearly explained everything that needed to be done to prevent any future problems. I will gladly recommend Clifford and CCP to my family and friends if they are ever in need of animal or pest control services.” – Maureen D, Hillsboro, Oregon. As you can see CCP Wildlife Control are the people to go to for help with wildlife control Portland situations that you have run into. CCP Wildlife Control is a humane wildlife control Portland company, they are trained and licensed in the humane trapping and where possible relocation of wildlife animals from your home. When you are handling wildlife in your home or office it is important to remember that the animals that you are dealing with are wild. They will defend any area that they have made their home and no matter how social or healthy an animal looks there is no way to accurately predict how they will react when placed in a situation that they feel threatens themselves. If you are looking for professional assistance with wildlife control Portland contact CCP Wildlife Control at (503) 201-2432 for help with the removal, relocation, repairs and cleanup on your home. 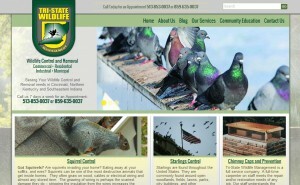 Contact Michigan Wildlife Removal (734) 629-5997 for help with wildlife control Detroit issues. If you are having issues with animals in your home or company the best thing to do is to call for professional removal help. Dealing with wildlife control Detroit is best left to trained and experienced technicians to prevent injury or illness spreading to the person dealing with the animals. Even if an animal seems social or healthy it is important to remember that the animal is a wild animal and when it feels threatened will react in an unpredictable manner. Michigan Wildlife Removal has trained and experienced technicians on staff who have seen and handled all sorts of situations when it comes to wildlife control Detroit. They are not only interested in ensuring that the animals removed from your home are handled humanely but also that everything possible is done to prevent reentry to your home from animals in the future. Their service areas include but are not limited to the following areas: Utica, Shelby Twp, Mt. Clemens, Chesterfield, Eastpointe, St. Clair Shores, South Lyon, Pontiac, White Lake, Birmingham, Ferndale, Oakland Twp, Franklin, Huntington Woods, Lincoln Park, Wyandotte, Brownstown, Southgate, Allen Park, Grosse Pointe, Inkster, Romulus, Hamtramck, Grosse Ile and Van Buren Twp. They do not handled feral or domestic dogs. 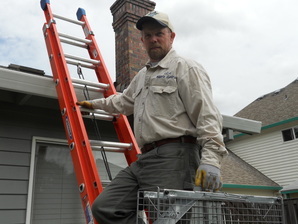 During the wildlife control Detroit handling on your home, one of the most important steps that will be take is the locating of possible entry points that the animals are using to get into your home. Getting these areas repaired and sealed are key to ensuring there is no animal entry into your home in the future through these same areas. Michigan Wildlife Removal will not only help you in the humane removal of the trouble animals that you are dealing with but will also be there to assist you in any needed repairs to your home. They will also help you with the cleanup and sanitizing of the areas that the animals were in to prevent the spread of any disease or illness. If you are in a situation where you need help with wildlife control Detroit, contact Michigan Wildlife Removal (734) 629-5997 for a home evaluation and estimate on everything you need to fully handle the wildlife situation you are facing. NWR welcomes New York – New Jersey Wildlife Removal, Inc (888) 928-2668 to our local New York nuisance wildlife removal directory for any wildlife removal including squirrel removals, raccoon removal, rat exclusions, bird control and any nuisance wildlife removal New York issue. As a homeowner there is no telling when you may need help with wildlife removal New York, having an animal in your home can not only be alarming but can also cause considerable damage to your home. Getting the animals out of your home is best done by trained and experienced professionals. Getting help can ensure that you are not risking injury to yourself along with any other people or pets in your home. As the cities expand and take over more and more wooded areas the need for wildlife removal New York increases. New York – New Jersey Wildlife Removal, Inc (888) 928-2668, have been trained and experienced in the daily handling of wildlife removal New York. They specialize in the humane removal and relocation of nuisance wildlife animals from your home, property and even in commercial situations. Due to the fact that there is no telling when an animal will get into your home they are available 24/7 to assist you with any of your wildlife removal New York needs. When the removal and relocation is completed from your home the technicians at NY-NJ Wildlife Removal, Inc will assist you in the cleanup, sanitizing and repair of any areas that the animals were in. This will help to prevent reentry in the future from other animals. National Wildlife Removal never recommends the attempt to address wildlife removal New York on your own. The thing to remember is that you are dealing with wild animals and their reactions to feeling threatened or that their home is under attack can and in most cases will be violent. Keeping yourself and your pets distanced from these animals until professional help can arrive is the best method for handling the situation on your own. When you have found yourself in need of wildlife removal New York call New York – New Jersey Wildlife Removal, Inc (888) 928-2668 for 24/7 service. Please no calls for domestic cats and dogs. 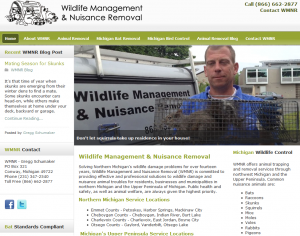 NWR welcomes New York – New Jersey Wildlife Removal, Inc (888) 928-2668 to our local New Jersey nuisance wildlife removal directory for any wildlife removal including squirrel removals, raccoon removals, bat exclusions, bird control and any nuisance wildlife removal New Jersey issue. As the city and towns in New Jersey expand there is less and less open land for wildlife animals to inhabit without interruption from humans. This then creates situations where the animals that normally would want no contact with humans will venture closer and closer in to find food and safe homes for themselves and their young. Here is where you get the raccoons that will dig through your trash in search of food, the opossum that ends up in your attic with her offspring, the squirrels in your walls who are looking for a place to nest and store their food. All of these situations bring the need for wildlife removal New Jersey. When you are in search of help with wildlife removal New Jersey the best people to contact are the trained and effective staff at New York – New Jersey Wildlife Removal, Inc (888) 928-2668, they are available to assist you 24/7 with any of your wildlife removal New Jersey needs. 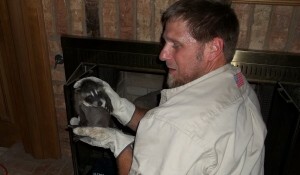 They specialize in the humane and effective removal of raccoons, squirrels, opossums, rats and more. If you are having any issues with unwanted wildlife in your home, on your property or in your office they are the best in the New Jersey area to call. They do not handle domestic cats or dogs. New York – New Jersey Wildlife Removal, Inc has the following goal for their company and client dealings, “NY-NJ Wildlife Removal is based on the belief that our customers’ needs are of the utmost importance. Our entire company is committed to meeting those needs. As a result, a high percentage of our business is from repeat customers and referrals. We would welcome the opportunity to earn your trust and deliver you the best service in the industry.” They are interested in doing what it takes to assist you with your wildlife removal New Jersey needs as well as ensuring that any messes are cleaned up, your home is sanitized and safe from illness and disease as well as preventing the situation from occurring again. If you have found yourself in need of wildlife removal New Jersey, contact New York – New Jersey Wildlife Removal, Inc (888) 928-2668 for 24 hour service.